Help a hip-hop band go from Open Mic at the arcade to online sensations. You play as a DJ responding to an Ad of a band looking for a member to help them play at the open mic night. From there, things get a little crazy when the local superstar recognizes their talent and wants them to join a party. 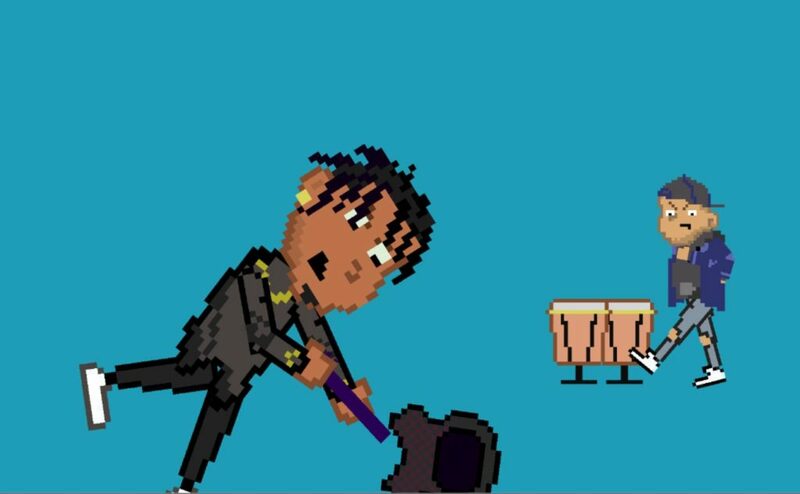 This hip-hop pixel adventure inspired by this current generation of superstars will have you chuckling. 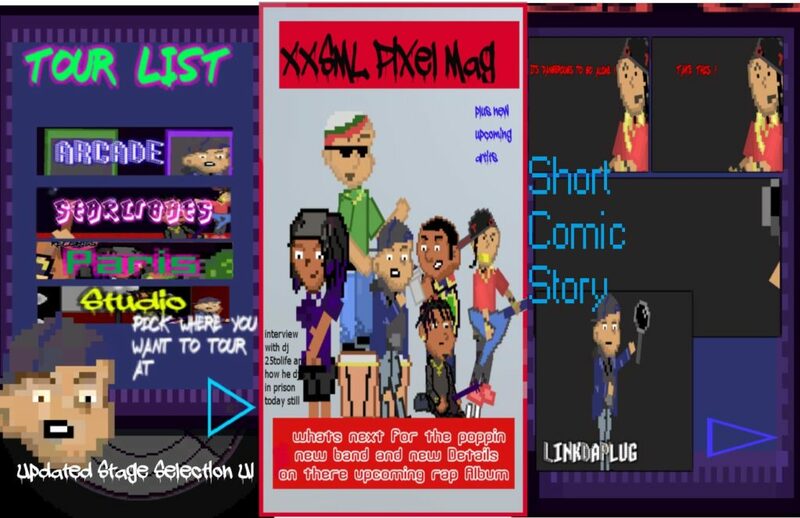 Told in a short comic series and simple gameplay this is a must try if you are a fan of today’s music! With simple one-touch controls, anyone can be a DJ in #MyDjStory. Just tap on the turntable in order to scratch and watch your mic go to the inner circle. 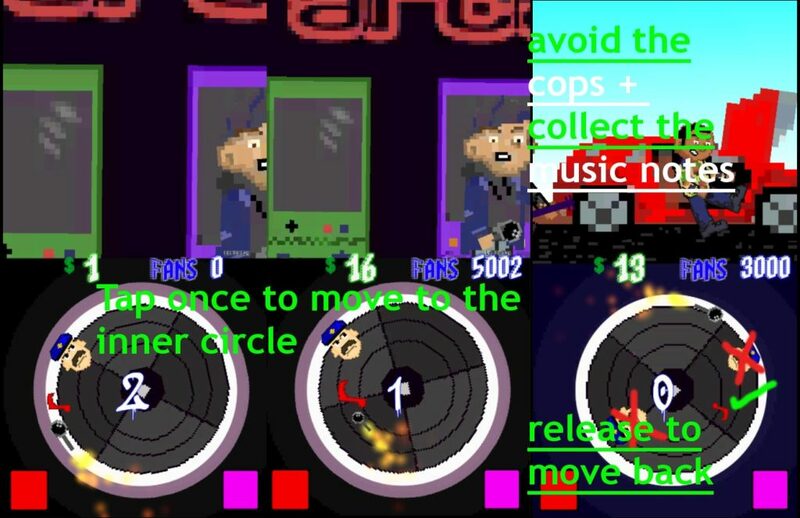 Collect the music notes to increase your score, but watch out for the police – they will ruin a good time. Wanna increase your score while adding flavor to your song? Hit that green button on top to add custom sounds, but watch the position of your mic as you may want to time it. With gameplay that is simple yet difficult to master, #MyDjStory will have you wanting one more try. All nighter games is a software media company based out in west Texas. Owned and operated by one man named Anthony Montanez. He enjoys time with his son playing World of Warcraft, Halo, and other first-person shooters on his console. He mainly develops as a hobbyist with hopes of one day making a highly successful game. Follow his social media links below to check out all the latest news and development updates. He plans on updating the Android version very soon and will be bringing the new update to a port on iOS in the coming months. Follow All nighter Games on Twitter for insight on future releases! This article was Published by Edamame Reviews, Written by All nighter Games.